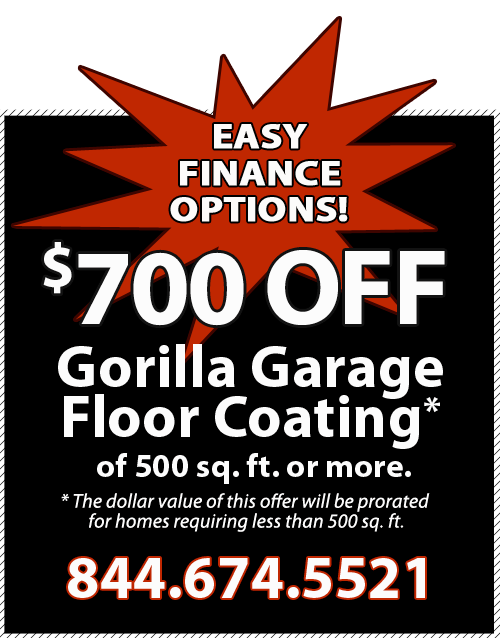 We are pleased to share a few of the hundreds of testimonials and reviews we receive about the My Gorilla Garage floor coating system. My Mom was very impressed with the appearance of our Gorilla Garage floor during a recent visit.I recommended that we contact you to arrange an assessment of their floor for the application of the Gorilla floor. I have a double four car garage and saw your product online. I set up an appointment to have a representative come look at my floor and really loved the product, the process and the people. The eye appeal is phenomenal. I cannot say enough about My Gorilla Garage. I’ve become the envy of my neighbors (who will soon be purchasing your product). Thanks for making my garage look so amazing!!! We were extremely pleased with your products and the results! You have turned our garage into beautiful living space! We are so pleased with our new shop flooring. It looks wonderful and is such an improvement. Also, kudos to the team who installed the floor. They were prompt, efficient and did a fabulous job. Thanks to everyone! Dave loves his garage floor! Thanks for helping me make his birthday surprise so special. You should be very proud of your installers. Not only are they professional and do excellent work, but they are very respectful and courteous. They were a pleasure to have working at our home and are a great reflection of the quality of your company. Just a quick note to thank you and your crew for all the hard work on the garage floor at our house. It looks wonderful, just as I knew it would. Hi Dan, This is just a quick note to let you know that, after 4 years, we’re still just as pleased with the floor…As you represented, it has retained its luster, is easily maintained and has been consistently admired by folks who see it for the first time…Thanks for the great job and your attention to detail. I wanted to take a moment to thank you and your staff for the wonderful job you did at our home. Your expertise and assistance in creating the perfect floor for was most appreciated. The entire process was a pleasure and the finished product is spectacular. Thank you again. My husband is a perfectionist and it’s almost impossible to find someone whose work can satisfy him, but as it turns out, your crew are perfectionist, too! Gary loves his new floors and that really says a lot. Thanks! I was delighted with the service provided by your crew. This project exceeded my expectations and I would gladly recommend My Gorilla Garage to anyone considering doing a Commercial grade Floor Coating on a garage floor. During the preparation the concrete was strengthened and all the cracks were filled and sealed. Great people to work with, they are indeed the ‘Ultimate’! I was very impressed with the work that your crew did on my garage and patio. They were very professional and I will not hesitate to recommend your company. Thank you. Gasp! It’s wondrous. What a wonderful job. Please let me know if I can ever give you a referral or do anything to help promote your business. Your guys are true professionals. Thanks for everything and please send my best wishes to your very hard working and truly caring crew. Thank you so much for your great service and great work. I LOVE my floor! Feel free to have anyone call me for a reference. WOW! I knew you guys had a reputation for doing good work, but I had no idea just how good. Our floor is gorgeous. Thank you! Thank you! Thanks! We love our floor and the ‘crew’ did a fantastic job. You have a happy customer! Take Care. Our builder had suggested a cheaper company, but since you had done such a great job at our current home we refused to compromise, and we’re so glad we didn’t. Thank you Craig for ANOTHER beautiful garage floor. We wouldn’t dream of hiring anyone other than My Gorilla Garage. Thank you for the great job on my floor and cabinets. Josh is a true asset to your organization. Your installation team did a super job at my rental property. They were friendly, respectful and worked very hard. It was a pleasure to do business with your company. 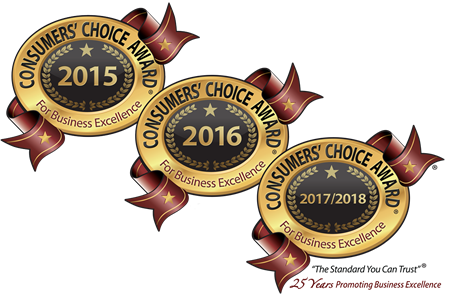 …Tim proved to be one of those rare individuals with incredible integrity and extraordinary competence…He is a shining credit to your company. We only wish that every contractor we use could be so conscientious. We had our garage done by Gorilla Garage and the finish product is excellent, better than we expected…Everyone that has seen it comments on how beautiful it is. It is easy to keep clean. It is so nice, that it encourages one to keep the garage well organized and neat. I finally enjoy going into the garage. Worth every penny. We considered painting the floor, but after seeing AND feeling the samples, we never looked back. The floor turned out amazing. Thank you very much. Can’t express how satisfied we are with it. The floor looks fantastic. Thanks for such a great job! Let the guys know we are very pleased with their work. Thanks so much!! Wow! Am I impressed! Your team did a great job and got done on schedule. The floor could not look any better, it exceeded my expectations. I am sure I will be sending you potential customers. I cannot tell you how happy I am with my new beautiful garage floor. I am so thankful that Jim helped me in the color choice with all his wisdom, color of my home, etc. The installation guys were all very professional and a pleasure to have around. Again, thank you so much. The floor looks GREAT!! Outstanding job you guys did. The attention to detail is impressive and much appreciated. Again, you guys did an outstanding job. It is a wonderful floor! I am writing to follow up on the floor coating you installed in my garage last week. They did a beautiful job. I am very happy with the process and results. Thank you. I wanted to be sure to tell you how happy we are with our garage floor! Your guys even went the extra mile to be kind enough to rebuild our garage step into a safer, legal step and then coat it with the garage floor coating. We love it! I am so glad I called you and commissioned your company to redo our garage floor. It is like a whole new room and as Craig said, “an extension of our house”, which is exactly what I wanted. Thank you! I was so impressed with the work you did at our residence. I look forward to working with you on future projects and will highly recommend My Gorilla Garage to anyone in need of your services. Thank you for your excellent work. Dan, The floor is just exquisite, Thank you…the color is rich and perfect with our home…I JUST LOVE IT! Our new garage floor is absolutely beautiful. The workmanship and service truly exceeded our expectations. Please give CJ and his crew our thanks. I will definitely recommend your company to all of my friends and neighbors. I (and our neighbors) really liked the job you did for me at my home in Loveland. I have just purchased a home in Liberty Township and would like to have you do my 3 car garage there too. Zach and Brian are a great team. Their communication before and during application was outstanding. Zach called on the evening of the 9th and on the morning of the 10th. Arrival time as stated was on the dot at 9 am. Their work ethic was fabulous! We are very happy with the results of our garage floor. Donald and Lulu are a great team!